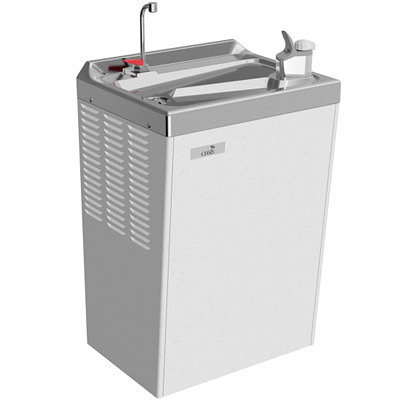 The Oasis PLF14MH Water Cooler is a Hot 'N Cold and serves 45 cups of piping hot water per hour, plus 8 gph of chilled water. Cabinet finish shall be Sandstone powder coat paint on galvanized steel or brushed stainless steel. Cooling system shall use R-134a refrigerant. Shall be listed by Underwriters' Laboratories to U.S. and Canadian standards and conform to European Union Directives.